Click here, Sparky the Fire Dog®, for some Family Fun! Click here to play games and test your knowledge! 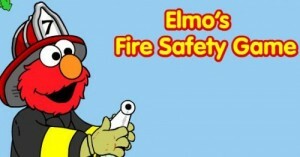 Elmo® knows about Fire Safety!